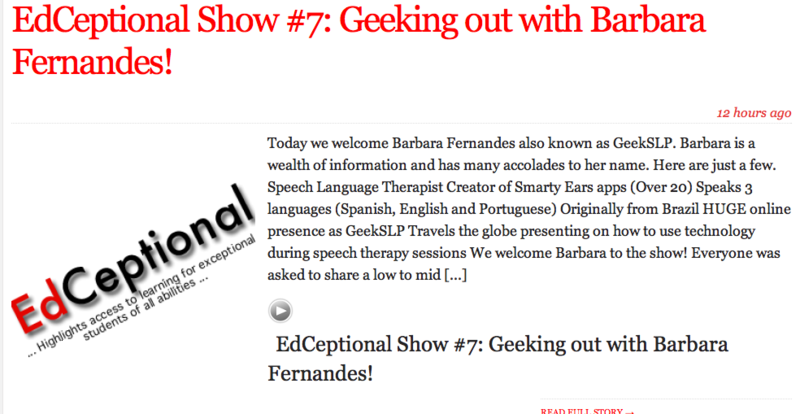 I had the enormous pleasure of participating on the EdCeptional Podcast this week! if you have not yet heard of you; you mush check these guys out. These are smart and super amazing group of professionals that are making a difference on how we perceive the news. CLick on the image above to access the EdReach network. Thanks guys for the great experience! ← Sunny Articulation Test & the GFTA-2 : Working hand in hand.